Permanent lobby sculpture for the Oregon State Hospital in Salem, Oregon. 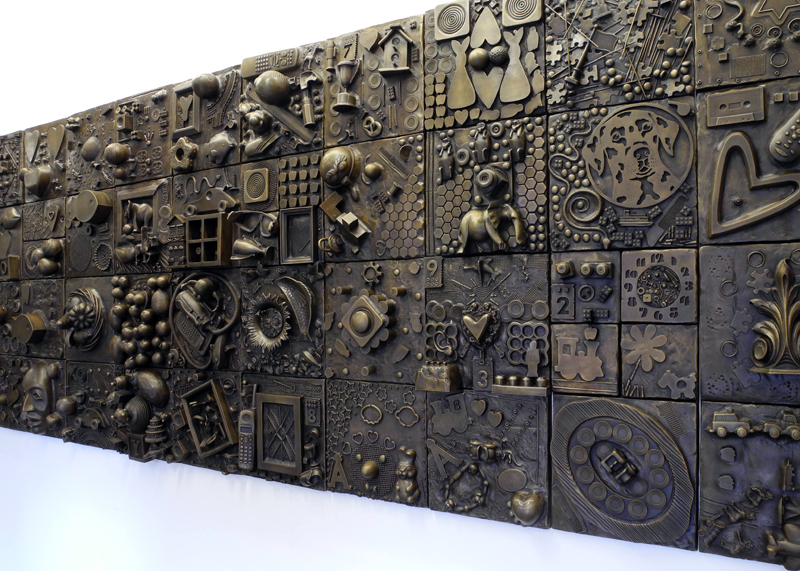 The bronze mural is made out of hundreds of found objects presented to OSH mental patients. 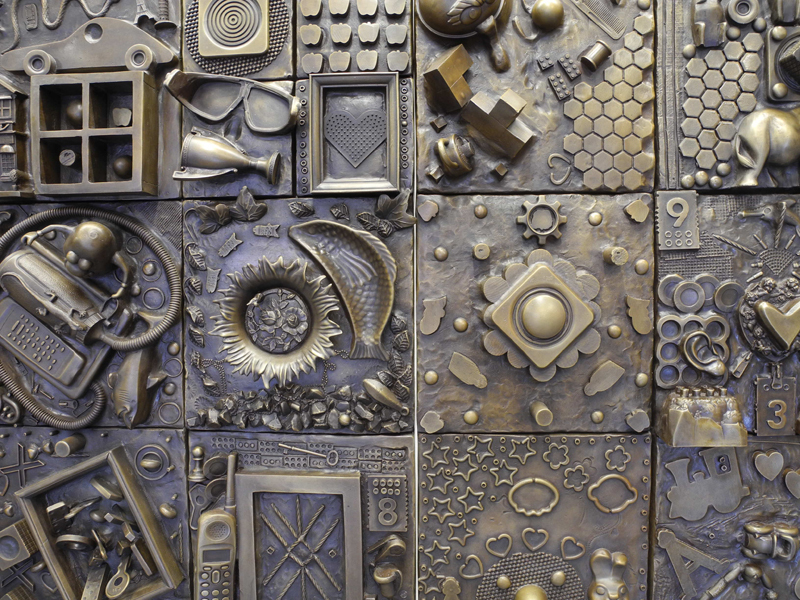 The patients selected and arranged the objects onto 12" x 12" panels, which are cast in bronze and organized into a 4 x 12 foot mural. This project was a collaboration with Bill Will.